I’m going to start using this space to semi-publicly start tracking time. I haven’t really worked out the best way to do that yet. I’ve been doing some time tracking of development work using WakaTime, but I haven’t been tracking the majority of my time, which has been spent on school work. What’s the point of this? I think I’m being equally pulled by a need to manage my time effectively in the face of increasing demands on it, and a little vain frustration that I seem to work around the clock pretty regularly and there’s no visibility into that. I was interested in the (kind of esoteric and slightly impenetrable) time and resource tracking that Devine Lu Linevega and co do on their site. I’m not sure I have the same kind of analytical mind it takes to build that sort of system, but I aim to try to organically make something that works for me. As whatever I make becomes more frictionless as a tool, reporting would become more regular and granular. For now, I’ll clumsily, from memory, try to jot down what I’ve done over the summer. I’m in three classes this session at ACC- Digital Animation Techniques I, 3D Model & Render, and a portfolio class. DAT I is a Toon Boom Harmony focused class. I learned the basics of the software, traditional and puppet animation, deformers, lip-synch, and Harmony’s node-based programming/layer hierarchy system. I like it. Theres a pipeline to unity and i plan on using it in 2d game projects. 3D Model Rend is a 3D Studio Max Class. this is the first 3D software I’ve ever tried to learn, aside from Sketchup, and the class has been challenging for me in a compressed semester. The final project is a checklist of objects and architectural elements modeled in 3dsMax, unwrapped and textured and then crashed together into a level in Unity. 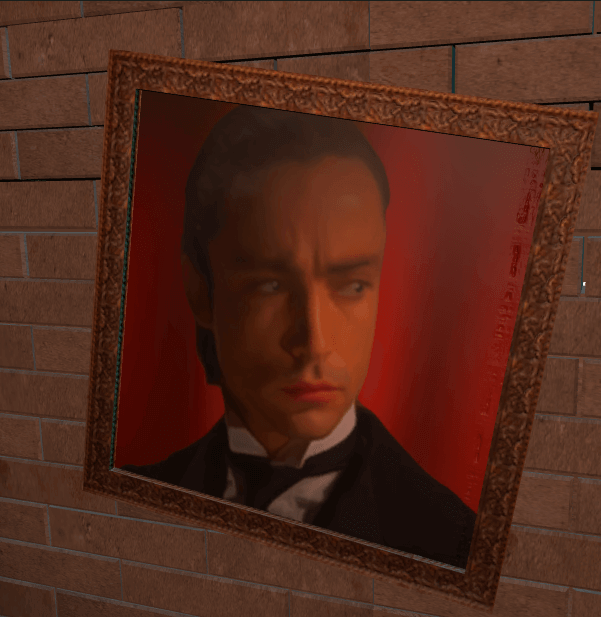 I’ve festooned the area with portraits of Udo Kier from Flesh for Frankenstein. In addition to courses in my degree plan (animation, 2D specialization AAS, with an expected completion this spring and a hope to continue into a 4 year media design program), I’ve been trying to keep up with life drawing and character sketching in the spirit of what i’ve learned at school so far. I’m attending as many Monday night figure drawing sessions as I can at AAVA and I’ll post some progress here. For work right now I’m building websites and web interfaces for projects by Finji, Money Positive, and Vidvox. Most of this work is tracked in WakaTime. I’m excited to work with all of these companies, they’re ethically run by folks I consider good friends. Finally, it’s been a decent few months of development on Thunderbeam. Thunderbeam is an adventure game project I kickstarted way back in 2011 with friends. The game was built from the ground up with iPads as the intended release target. The scope was out of control, the funds we raised were insufficient, and it’s been in development hell for years, despite the good work of some amazing talent. We’re focusing on completion this year, and pooling money and resources to do so. It’s been painful learning unity at school, as so much of what we labored to build over the years comes free out-of-the-box with unity, but I’m excited about making games again, and I feel like a huge weight is being lifted off my shoulders as this first game project finally moves towards being releasable. I know now what I couldnt have known then, and its shaped what I want to make in the future. Smaller, scrappier, more personal interactive art. I realize as I write this that everything I’ve done this summer has been overshadowed by negotiating the process of removing the director of the game arts nonprofit I work with and installing new organizers in leadership. I’ve been working with Juegos Rancheros for 7? … 8 Years? And its marked this chapter of my life. That the organization has survived this needful but devastating open-heart surgery is a testament to its members and community, and I know it will be in good hands if I progress into a new degree plan out of state. All this bean-counting is a way to count my breaths as I continue to tiptoe forward through the dark.